The name Caravela comes from caravel which were originally small, nimble ships developed by the Portuguese in the 15th century. The caravel was known for its speed, maneuverability, and the ability to sail into the wind. Possibly the most famous caravels in history were the Niña and Pinta of Christopher Columbus. If you have a public tracker, each member is automatically assigned to the role you designate in your tracker settings. For private trackers, new users are put into a queue allowing you to authorize them and choose an appropriate role. And you can change one or more team members' roles at any time with a single click. The priority and status bar is always visible at the top of the page no matter where you scroll. Editing is fast and doesn't require a page refresh. 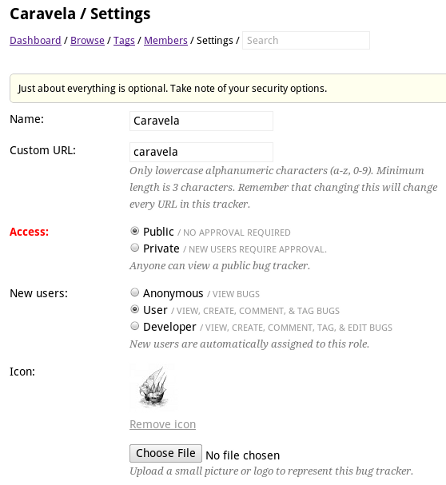 Caravela supports tags, file attachments like screenshots and zip files, and comments. 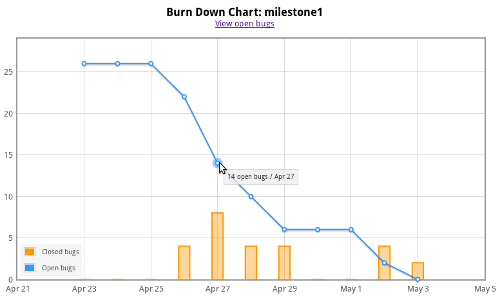 Use interactive burn down charts to see at a glance how much work has been done and how much there is left to do. Creating new bugs is completely painless. We've boiled down the procedure to the bare essentials: description, tags, priority — and only the description is required! Caravela supports Markdown for formatting bug descriptions. The tracker dashboard keeps you updated with bug counts and links for each status and priority and shows you bugs that have been recently updated and closed. Do full text searches across your entire database or restrict your searches to a single tag. And you can change status and priority directly from the search results page without refreshing or altering your search results! 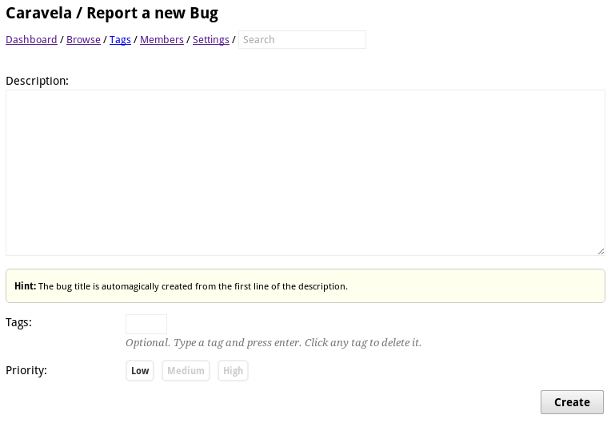 Tags only appear when you hover over a bug title so they don't clutter your search results. Subscribe to tags to get an email notification whenever they are used. Caravela automatically adjusts to your screen size so it looks and works great on the desktop and on your mobile devices.